Georgia Wild is a free newsletter focused on wildlife not legally fished for or hunted, native plants and natural habitats. Subscribe to Georgia Wild. February 28, 2019: A year of wildlife work in review; More right whale calves, new video; Bald eagles vs. sandhill cranes; Are pecans for the birds? You bet. March 7, 2019: A unique tree few know about; On the lookout for invasive lizards; Claxton set for wildlife and rattler fest; Fire that restores rare species, habitats; Sampling for threatened trispot darters. April 12, 2019: See a snake? No sweat; Cottonmouth encounter; Best plant for black swallowtails; Questions trail endangered whales; Loons or gulls: Which finds the fish? February 28, 2018: Right whale season gone wrong; Eaglet's death saddens Berry viewers; "Survivor" eagle spotted, another golden tracked. March 15, 2018: Sifting the truth about birds and salt; DNR managers in Women Conservationists series; Video: great whites, other sharks vs. humpback carcass. April 10, 2018: Insights into cryptic spiders; Right whales' bleak winter; The good side of greenbrier; Training for monarch watchers. April 26, 2018: Hunting hogs, helping sea turtles; head-start for rare salamanders; sad news for Tallulah Gorge falcons. May 10, 2018: School art aids wildlife; train to monitor monarchs; humpback trend has sad footnote; don't miss spring's dawn chorus. May 24, 2018: New wrinkle for eagle nest checks; Teens promote plant connections; Georgia, 'Bama team up for Bat Blitz. June 6, 2018: The hidden world of moles; Searching for nesting falcons; On the wing with whimbrels. July 13, 2018: Indigo SOS answered; Same species, different look; Bird netting bad news for snakes; How backyard birds beat the heat. August 3, 2018: Wildlife close calls; Bat disease update; Mantis meets hummer; Feeding at the four-o'clocks. September 25, 2018: Dark rivers, big turtles; Georgia outdoors on the ballot; Add water for more backyard wildlife; Sea turtle nesting slows, recovery continues. October 25, 2018: Bridgework spares bat colony; Bats take over DNR Instagram; In praise of chipping sparrows; Swamp thing? Meet the amphiuma. November 15, 2018: Snakes in close quarters; Landowner spurs plant rescue; The 'why' behind white squirrels. December 20, 2018: A biologist's longleaf legacy; Right whale sightings stir hope; If you give a nuthatch a tool; Wild ways you helped wildlife; Tiny rattlesnake, cool salamanders. February 24, 2017: State's first wind scorpion; Rescued whale returns north; Warm winter and bird nesting; Photos: white sharks, gator "chin-up". March 9, 2017: Severe weather and wildlife; Tracking another Georgia golden eagle; Updates: Tallulah falcons, fighting invasives. April 5, 2017: Military-powered tortoises; Finesse fire at Big Dukes; Kindergarteners for nongame. April 26, 2017: Why so few right whales? ; Zebra hunting in Georgia; Alapaha WMA: storied site, sandhills. May 17, 2017: Eagle nest total soars; Endangered bee watch on; Backyard nest borrowers; Rare plant rediscovered. ​May 25, 2017: Can't-miss snake video; Eagle release Saturday; Updates on rare birds and frogs. June 15, 2017: On the trail of manatees; Our overlooked songbird; Wild refuge on the edge of Atlanta. June 27, 2017: A license-change bonus for public lands; Shadowing rare sparrows to help save them; Seen a spotted skunk? Let us know. July 14, 2017: Working the turtle beach; Conserving Altamaha 'paradise'; White-nose syndrome survey results; How to sort out summer hummers. September 7, 2017: The caterpillar connection; More power for mussel work; Team Tortoise bodes well for gophers. September 21, 2017: Bird Island birds beat storm; Searching for rare darters; A trunk organizer for your 2 cents; Sorting cottonmouth fact and myth. October 7, 2017: Big Turtle Year seeks big snappers; Adding fall color to your yard; Renew a license plate, help wildlife. November 1, 2017: Rapping wildlife tags; Rare birds back at River Creek; Why add nest boxes before winter; Watching for North Atlantic right whales. December 8, 2017: Conserving Lee County wetlands; Thumbs up for downy woodpeckers; State's newest orchid found at Sansavilla; Berry airlift: Eagle (briefly) tackles big limb. February 13, 2016: Tune into Georgia nest cams; Hot start for Rx fire season; Rescuing bats from bridgework; Coping with bird-feeder problems. February 25, 2016: Following another Georgia golden eagle; 'Tis the season for spotting spotted turtles; Our oldest oystercatcher and how it helps scientists. March 8, 2016: A new way to fund nongame work nationwide; Choosing the right binoculars for you; Why Georgians are key to conserving wildlife. March 23, 2016: Surveys explore status of rare wildlife; Tallulah Gorge prescribed fire a home run for habitat; More endangered salamanders found at Mayhaw. April 7, 2016: Tagging and tracking right whales; The true value of redbud trees; The story behind a nest cam no-show. April 19, 2016: A mussel and snake interaction you've never seen; Georgia-tracked curlew unveils migration mystery; Botanical Society explores rare habitats in Year of the Bog; The man who managed River Creek wildlife for 50+ years. May 17, 2016: More bad news for Georgia bats; Nest updates, from eagles to ospreys; All a flutter over butterfly puddle parties. June 1, 2016: Nest boxes, north Georgia students aid hellbenders; Shadowing another group of manatees on the move; Rare glimpse of patch-nosed salamander courtship. June 16, 2016: Keeping track of North America's smallest falcon; Partnerships and Civil War site hold new hope for rare plant; Terry Johnson's tips for keeping your hummer feeders pest-free; Fitzgerald Herald-Leader article about rare plant conservation in south Georgia. July 7, 2016: Snake doctors and Devil's darning needles; Study tags substitute manatees; Spring Creek's hard-shelled survivors. July 26, 2016: Color me wild; Sea turtle nesting surges; Woodpecker surprise at Moody Forest. August 12, 2016: Special turtle, special place; Bishopweed once lost, now found; A wow bird in your backyard. August 30, 2016: Net-casting spiders found in state; Sightings expand coal skink range; New eagle-and-flag tag takes off. September 28, 2016: National honor for plant champs; Catfish control on the lower Satilla; Why strawberry bush will steal your heart. October 13, 2016: South Georgia's hard-shell giants; What's to like about sweetgum trees; Rare glimpses of Florida pine snakes. November 1, 2016: Georgia fishes on Flickr; Teamwork to restore bogs; Pitcherplants and their prey. December 23, 2016: New hope for Moody Forest woodpeckers; Revised Wildlife Action Plan in play; Best bet for Baltimore orioles; Rescued eagle flies wild again. January 27, 2015: Showing now: Eagle, owls and more; Contests connect youth and outdoors; 2014 report reveals nongame ups, downs; Out my backdoor: Carolinas come calling; Tax checkoff critical for Georgia wildlife. February 25, 2015: Claxton wildlife fest expecting a crowd; Golden find: Rare eagle tracked in Georgia; Out my backdoor: Helping chickadees. March 31, 2015: Rare salamanders found at Mayhaw; Cams stream nesting highs, lows; Tag! Right whales were it this winter; Out my backdoor: Redbuds on parade; Flint's gator snappers slow to rebound. April 9, 2015: Out my backdoor: hummer haven how-to; Monitoring ‘mice with wings’; Fly-in promotes nongame work, plan. April 24, 2015: Bird’s-eye view of bald eagles' big year; Another bad winter for Georgia bats; Bird bits: new falcons, returning whimbrel. May 19, 2015: DNR license fee, structure options on table; First ‘wild’ GA peregrine nest since 1930s; Out my backdoor: pesticide = wildlife; These pups need love, too. May 29, 2015: Good news for golden-wings in Georgia; 3 things you need to know about GPCA; We have seen the enemy…; Ties that bind fuel burn near Butler. June 18, 2015: Help shape State Wildlife Action Plan; Loggerheads nesting at record pace; Strange snapper is true survivor; Out my backdoor: a fine vine for hummers; Project maps manatees in Georgia. June 30, 2015: Hangout for tagged manatees? Kings Bay; Power-line nest project key for kestrels; Answers on SWAP available here. July 16, 2015: Birthdays + tags = bonus for wildlife; Why growing native is better for nature; Out my backdoor: yard dinosaurs. July 25, 2015: How to remove a turtle from a moat; Despite dip, wood stork nesting strong. August 13, 2015: Hellbenders make moves, on video; Where the rare things are; Out my backdoor: A plant we love to hate. August 28, 2015: Rehabbed eagles returned to the wild; Notch another record for loggerhead nesting; A t-shirt for your thoughts. September 18, 2015: 50 years later, biologist returns to Ossabaw; Out my backdoor: storms vs. songbirds. September 29, 2015: Eagle shooting spurs call for public's help; Insights from summer hellbender surveys; A sticky escape for a web-bound hummer. October 8, 2015: Misunderstood morning glories; Fungal disease found in more snakes; Rare seabird sighting on St. Simons. October 29, 2015: "Ambassador" sea turtle back in wild; What's truly scary about bats; Two-time turtle egg thief sentenced; Locust Grove teacher earns conservation grant. November 15, 2015: More Georgia aster populations found; The fascinating side of 'possums; How to make a sea turtle rescue look easy. December 21, 2015: Top nongame wildlife stories from 2015; Right whale calving season starts with a splash; A songbird for all seasons. February 7, 2014: Lights…Camera…Wildlife! ; For conserving nongame, it was a wild year; Don’t miss out on winter visitors; Fresh start for rare birds in Baker County. April 7, 2014: Slow year for endangered right whales; When ruby-throats stole our heart; Ready to go wild? Follow us. April 23, 2014: Tags give wildlife an even better chance; Video: When indigos tangle; Scientists track disturbing spread of WNS. May 23, 2014: Eagle nesting soars to record high; Red-shouldered rescue in Athens; Georgia aster on our minds; The invisible threat. June 10, 2014: Bogfathers, managers return to Rabun; Bat watchers needed; Meow? Catbirds on the prowl. June 27, 2014: A new high for wood storks; Saving the day for dwarf sumac; ‘Hot’ invasive found near Jekyll. July 8, 2014: Wildlife tag prices cut, benefits raised; Loggerhead nesting rates 'average'; You light up my yard. July 18, 2014: Youth Birding Competition goes national; Working with wildlife is Greer’s life. August 11, 2014: Rare birds at Joe Kurz; ‘We’re in it for the long haul’; Keeping your hummer feeder pest-free. August 25, 2014: Found: a Holy Grail of Georgia grasses; State’s first wild snake with SFD confirmed. September 12, 2014: Go watch at Go Fish; Average nest year no cause for alarm; A jewel of a weed (and one hummers love). September 29, 2014: Test your wildlife tag smarts; Reign of the den master; Glory days of a Coastal Plain bog. October 13, 2014: 3 reasons to see Ohoopee Dunes…now; ’Tis the season for superstition; From ditch to bog to classroom; Funding the battle for bats. October 30, 2014: Predators vs. oystercatchers; How have alligator snappers recovered? November 13, 2014: Why acorns=awesome; Be on the watch for whoopers; Keeping Georgia tops in aquatics. November 25, 2014: Test your tag IQ—Part II; Ohio zoo makes clutch find for rare sally; Teaming up for montane longleaf. December 18, 2014: Suspects cited for shooting wading birds; They're back...right whales return to GA; Out my backdoor: a wildlife Christmas tree; Wild stories worth telling again. January 25, 2013: Wonderful winter for whales, so far; Southern lessons in prescribed fire; How birds cope with cold; Georgia's wildlife checkoff at work. 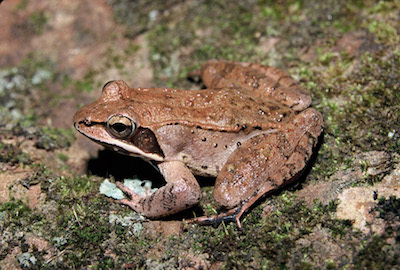 February 28, 2013: Eggs mark leap forward for frog project; It's gonna be wild in Claxton; When scouts come calling; Sea Island’s big bird weekend. March 22, 2013: New camera live-streams Atlanta falcons; Hummers have eye for red buckeye; Bat-killing disease found in Georgia. April 11, 2013: Discovery adds mussel to shad outlook; Updated frog CD helps hone ears and eyes; Hate honeysuckle? Not this native; On the trail of a bat killer. April 26, 2013: Survey probes disease's impact on eagles; Rx fire season in review. May 14, 2013: Blind snake worms its way onto coast; Spring beauties on the wing; Giving credit to conservation tax credits. May 31, 2013: On the trail of whimbrels; Biologists monitor Atlanta bats by water. June 12, 2013: Rare river frog event seen in Lee County; Nongame rescues dolphins by ... hukilau? ; Summer bird feeding: Why it's worth a try; Ducks common 'n not-so share Di-Lane nest. June 29, 2013: 10 nongame stats that may surprise you; Nation takes note of GPCA's success. July 12, 2013: Wood stork nesting not soaring, but solid; Tell us how we're doing...(we're all ears); Waiting for hummer fireworks. July 27, 2013: DNR website reveals what's in your county; Video captures snake vs. egg-laying turtle. August 23, 2013: How Facebook saved a hummer; Rare salamander found in Ridge and Valley; Help wanted? Citizen-science opps abound. September 6, 2013: Counting shorebirds—across the continent; Turn your yard into a pit stop for migrants. September 30, 2013: Hellbenders in a bottle; Survey says: enews effective for nongame. October 11, 2013: Seen these reptiles in Georgia? ; Do butterfly boxes work? October 31, 2013: Surprising Coosawattee rich in rarities; A sea turtle summer to remember. November 12, 2013: Dolphin virus migrates south; Decorating for the birds. November 29, 2013: DNA hunt holds promise for hellbenders; Dolphin strandings spike in Georgia; Habitats project earns TERN teacher grant. December 20, 2013: Hoping Caterpillar’s luck holds; Five unusual backyard birds in winter. January 2012: Change in rattlesnake festival cheered; Safeguard success for swamp pink; Winter's mystery mammals; An indigo for the photo album. February 2012: Hunting WNS; Bluebird boxes; Shorebird count. March 9, 2012: Give to wildlife; Rattler fascination; Get out app. March 23, 2012: First hummers; What a whale; Burn season’s late rush fuels teamwork, learning. April 9, 2012: Eagle nests up; Few whale calves; Botanist honored. April 19, 2012: Tortoise aid; Fascinating flycatcher; New coastal network targets alien invaders. May 4, 2012: Rare bat find; Dandy dandelions; Contest winners. June 13, 2012: Healthy burns; Butterfly magnet; Sea turtle case. June 29, 2012: Wood stork survey; Tortoise test; Piedmont pelican. July 12, 2012: Sunfish search; Anting answers; Newt news. July 30, 2012: Sea turtle success; High-flying falcon; Osprey release. August 13, 2012: Jackson mussels; Wild Olympians; Rare bird mark. August 27, 2012: New tag designs; Bat lessons; Whimbrel wonders. September 12, 2012: Army bird honors; Ironweed; Gopher plan; Fish history. September 26, 2012: Plant rescue; Bog history; Beach-nesting birds. October 15, 2012: Restoring longleaf; Out my backdoor; Teacher grant. October 31, 2012: Loggerheads reach nesting milestone; Help pick the next bald eagle plate; Sign up for a silver Weekend for Wildlife. November 15, 2012: A gopher frog first; Persimmon: forgotten wildlife food plant. November 30, 2012: The right whales are coming! ; What giving wildlife a chance means. December 22, 2012: From owls to eagles...; The Christmas card bird. January 2011; Big indigos; Birding & poster contests; Winter butterflies; Athens teacher awarded conservation grant. February 2011: 5th dead whooper; Moody Forest; Sandhills 'n spring; Views from the fireline. March 2011: Rare sparrows sought; Alligator snappers; TERN volunteer of year. April 2011: Rockcress rescue; Eagle update; Whales & sharks; Bluebird insights; Moody Forest visit inspires landowner’s vision for longleaf. May 2011: Rare species insight; Walking Big Hammock; The brood is back. June 2011: Sandhills Part 2; Dolphin Rescue; Public lands profile: Big Dukes Pond WMA. August 2011: Loggerhead record; Buzz about bees; Whimbrel bests Irene; Outdoors education. September 2011: Hellbenders; White hummer; Raccoon Creek restoration; TERN's top volunteer; North Georgia project aimed at conserving continent's largest salamander. October 2011: Satilla flatheads; New WMA pass; Owl fears; Surprise sparrow. November 2011: Tracking rare species; Wild Georgia books; Underground wildlife; Whoopers are here! December 2011: Freshwater turtle regulations; Top stories of 2011; Restoring rare plant, habitat in Dooly; Our Christmas hummingbird? February 2010: Owls in the backyard; Restoring Pine Mountain longleaf; DNR chiefs call to get out; Trout lilies all a'bloom; The great outdoors awaits—make a date with your children. April 2010: Learning at Ohoopee Dunes; Georgia herp hotspot; Carters Lake whoopers; Burns yield longleaf boom; King rail at Panola Mountain. June 2010: Gulf spill experience; Best hummer food; Dawson addition; WRP wood storks. July 2010: Sea turtle conservation; Caving cautions; Backyard treasure; ​Statewide acoustic transects help biologists monitor bats on the fly; Leading and learning at Charlie Elliott summer camp. August 2010: Coosawattee surprise; Sandhills progress; Bull's-eye butterflies; Blitz promotes, explores Georgia bats. September 2010: Trading places helps conserve red-cockaded woodpeckers. October 2010: Where carnivorous plants thrive…and longleaf pines endure. November 2010: Eagles' fatal prey; Ear for frogs; Shad & sturgeon; Winter hummers. December 2010: Mapping coastal habitats; Gifts in red; Restoring grasslands. January 2009: Grassland; Bugs to beavers; Fall Line Sandhills. February 2009: Ohoopee Dunes: A study in nature, sand; Adventures in disentangling a whale. March 2009: Twister wipes out rare woodpecker habitat; Georgia part of program to bolster eagle estimates; Ft. Stewart woodpeckers. April 2009: How we got our kids outdoors; Lichens poster, workshop offered to teachers. May 2009: Interstate sandhills work; Our worthy state bird; Barring all but bats. June 2009: Grand Bay; Searching South Georgia swamps for bats; Identifying the ebony jewelwing. July 2009: Secret of Charlie Elliott Wildlife Center; Interns' diary. August 2009: At Sapelo, ''light bulb moments'' inspire teachers, children alike. September 2009: TALON: The teen birding camp that soared. October 2009: Bat interns' full diary: "A summer we'll both remember". November 2009: Dolphins catch, release for contaminant study a ''success''. December 2009: Coosawattee's rare ranking; International aid for red knots; Strawberry bushes forever. Please contact us for older releases.